Take these steps to protect your home and Halloween visitors. As Halloween approaches, it’s time to get your home ready for party guests and trick-or-treaters. Taking the right precautions will ensure that everyone has a safe and happy Halloween night. Here are some of the steps you should take to keep your home and visitors safe this Halloween. Remove anything that could constitute a tripping hazard for your Halloween guests. For instance, rake up fallen leaves, fill up holes in your lawn, and remove any ornaments on your lawn or walkways. Make sure you light up the pathways leading to your front door. This will reduce the chances of party guests and trick-or-treaters tripping or bumping into something and injuring themselves. Do not decorate using real candles or anything that features a live flame. 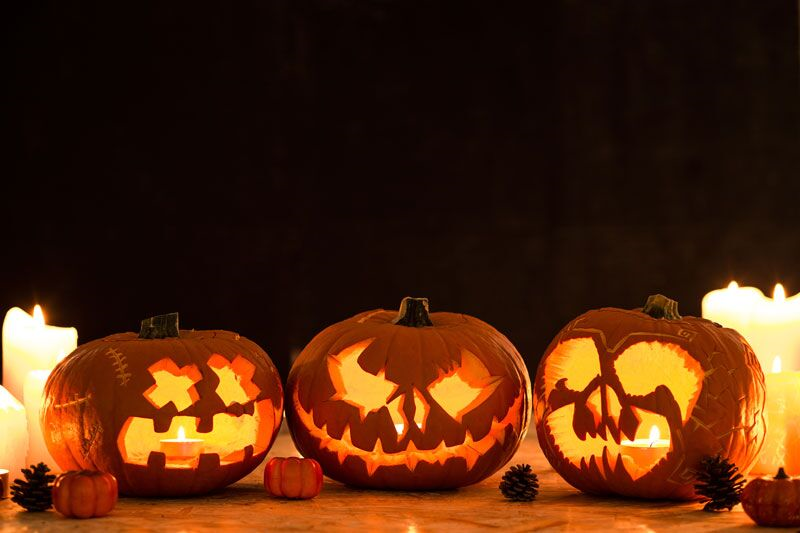 Candles, even ones meant for decorative purposes, place both your home and your Halloween guests at risk for fire. Do not hang heavy decorations overhead; these could cause injuries and property damage if they were to come crashing down. Avoid decorations that may surprise people. Using these types of pop-up decorations could startle visitors to the point that they actually injure themselves. Secure your pets in a safe location away from your front door. The continuous arrival of party guests and trick-or-treaters can cause your pet to become overexcited, making them more likely to act aggressively or attempt to run away. Do not feed your pet any Halloween treats. Many Halloween staples, such as candy, are toxic to animals. These are some of the steps that you should take to have a happy and safe Halloween. Want another way to protect your home and loved ones this Halloween? Make sure you have the proper homeowners insurance protections in place. For assistance with all your home coverage needs, contact the experts at The Schwab Agency in Colleyville, Texas today.